More food does not equal to faster growth. Call it inexperience or lack of communication, most parents tend to be confused about the right portion size for their toddler. Kids, at this age, are in the early stages of developing an appetite, so the responsibility of their dietary needs fall on your shoulders. Every child is an individual and so is their growth calendar. The amount of food that he/she eats varies according to their daily activities, preference and growth patterns. Most parents tend to overfeed their kids in the hopes that more food equals to faster growth. According to a survey conducted in the USA, almost 80 percent parents are feeding their babies more food than they need. 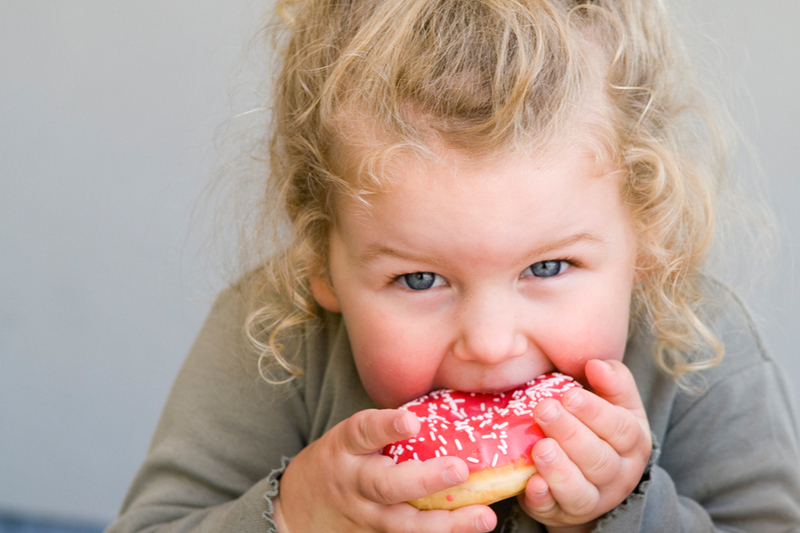 And even more shocking: 10 percent of parents are feeding their children adult-size portions. If you are worried about how much, or how little, your little ninja is eating then below are some simple recommendations on portion sizes. Each food group is different so there is no hard and fast rule to how much you should be serving but this detailed chart should serve as a bit of a guide to help you judge if they have, in fact, had enough to eat. To avoid adding unnecessary calories to your tot’s diet, here’s a complete guide to portion size for various types of food groups.